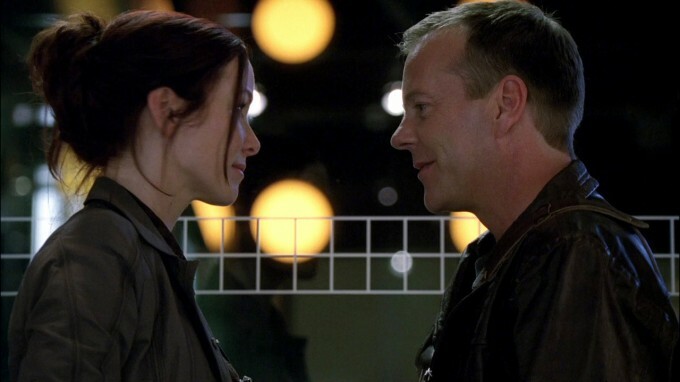 Jack Bauer and Renee Walker meet again for the first time since the events of 24 Season 7. Renee Walker: Jack. *hugs* Chloe didn’t tell me you were here. Jack Bauer: I asked her not to. I didn’t think you’d wanna see me. Renee Walker: Right. You tried to get in touch, and I didn’t call back. Sorry. I was so happy to hear that you were okay, though. Renee Walker: I’m surprised that you’re back at CTU. Jack Bauer: I’m actually not, I’m moving back to Los Angeles with my daughter, I’m supposed to be on a plane with her right now. Renee Walker: Then what are you doing here? Jack Bauer: An old informant knocked on my door. Everything went downhill from there. Renee Walker: The attack in Midtown. That’s why I’m here, too. Jack Bauer: I heard Hastings wants you to go undercover with the Russians again. Renee Walker: He does. I’ve agreed. Jack Bauer: You really think that’s a good idea? Renee Walker: They need me. Jack Bauer: I’m not worried about them. I’m worried about you. I know what you did. Renee Walker: Really, Jack? What did I do? Jack Bauer: You almost killed Wilson during your interrogation. In fact it was so bad, the FBI had to let you go. Even after everything you did that day. Renee, I know where you are, and it’s a dark place. Renee Walker: Yeah, and I’ve come back. Jack Bauer: It takes longer than you think. Renee Walker: I wouldn’t have signed up for this if I wasn’t ready. Jack Bauer: And I don’t think you are. *looks at scars on Renee’s wrist* Renee, this is too important. You need to let them take care of it. They will. Renee Walker: I appreciate what you’re trying to do, really. You said you were going to Los Angeles to be with your daughter, right? Jack Bauer: Please don’t do this. Renee Walker: Go to California, Jack. I’ve got a briefing.